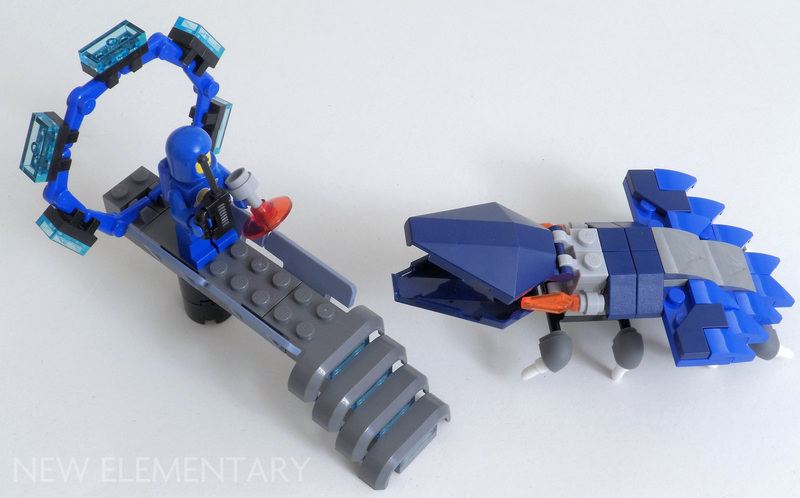 Chris McVeigh got his hands on some 2018 LEGO® sets already and gives us a quick look at two exciting new pieces of foliage inside them. 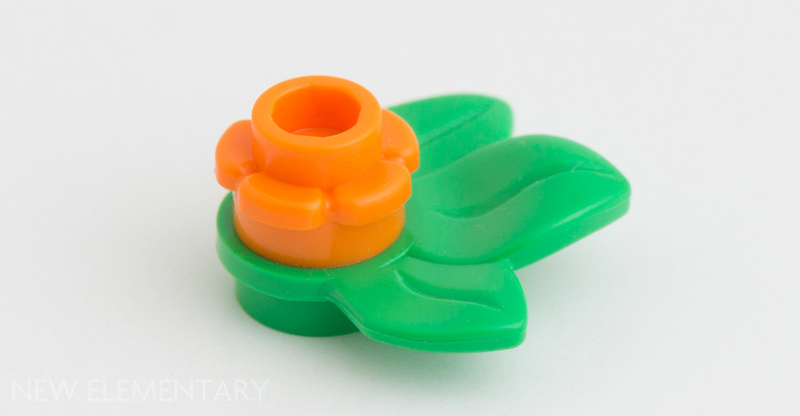 LEGO has introduced a new flower element and matching leaf element, and it looks as though they’ll be quickly rolled into many 2018 sets (including 10260 Downtown Diner). Happily, they’re now hitting shelves in the newest Juniors Friends sets, which I picked up so that I could examine the parts in detail. ENTRY IS NOW CLOSED. All received entries will be published on the blog in a few days' time. After a long absence, in 2018 The LEGO® Group will be reintroducing teal-coloured LEGO elements (Bright Bluish Green [TLG]/ Dark Turquoise [BL]) and the team here at New Elementary are so excited, we're running a competition! Beware builders, I fear one day teal may rise again! Zombie-teal. With strange eons even death may die. :) I would have to kill it again! How might Mark Stafford kill teal again? With the surprise re-release of the LEGO® Taj Mahal, fans have been wondering why The LEGO Group settled on this particular classic set, and whether anything has been changed. Sven Franic is here to shed some light on a set containing no new elements or techniques. The 5,923-piece set is now available priced £299.99 / US$369.99 / 329.99€. 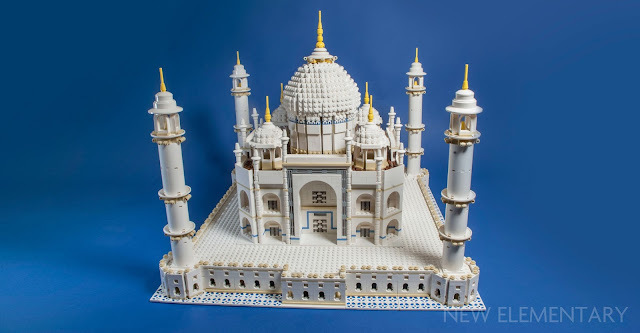 What I love most about the Creator Expert theme’s “Landmark” series, or Sculptures as they used to be called back in 2008 when 10189 Taj Mahal was first released, is that they include a low number of lots and very high brick counts. 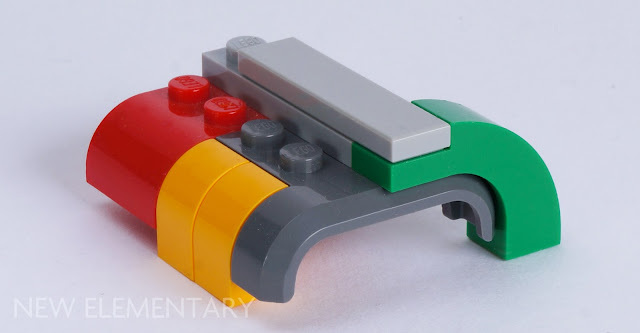 This is great for amassing substantial quantities of bricks of the same type by buying just one copy of the set. This is simply a symptom of a very large and intricate model, but this type of inventory also probably played a major role in the decision to bring it out of the vault after nine years, despite all the conspiracy theories running wild over the internet about what was behind this move. To understand why, we have to go back in time for a second. 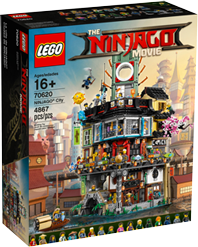 has been available for over a month now (902 pieces, priced £74.99 / US$79.99 / 69.99€). 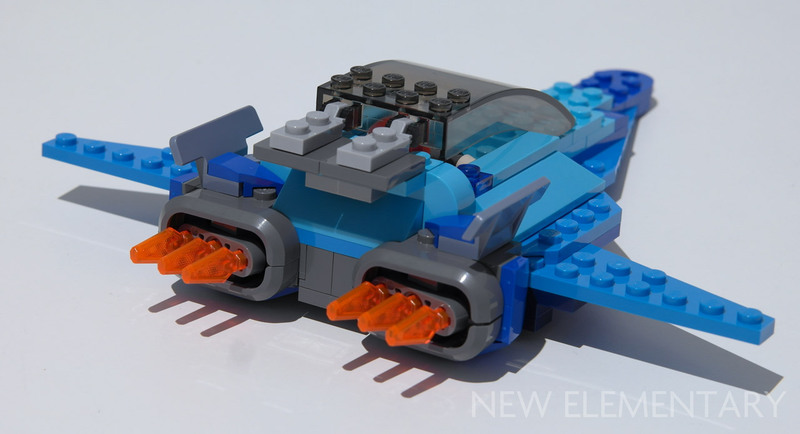 Today, Sven Franic explores the new parts included and gets inspired to build. A year since we saw the 10254 Winter Village Holiday Train, presumably picking up passengers randomly along the line, a train station is finally here to restore some order to the holiday chaos. 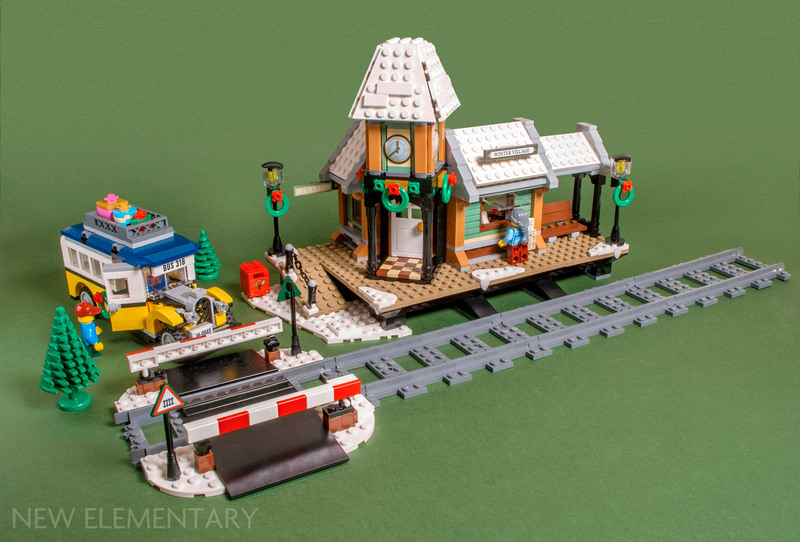 Although the Winter Village Holiday sets are part of the Creator Expert line, there isn't all that much expert in them. This is also acknowledged by the 12+ marking on the box compared to most other sets in the line which are 16+. A heavily armoured, bio augmented cybernetic warrior snail, with blip pilot. Our latest parts festival is nearing its end but fear not, we have some models from Peter Reid and his pals, using the parts he took home after attending our final session. Although he rarely makes instructions of his work, Peter has listed which of the new parts he used in each model, so you can get hold of the ones you're less likely to have. 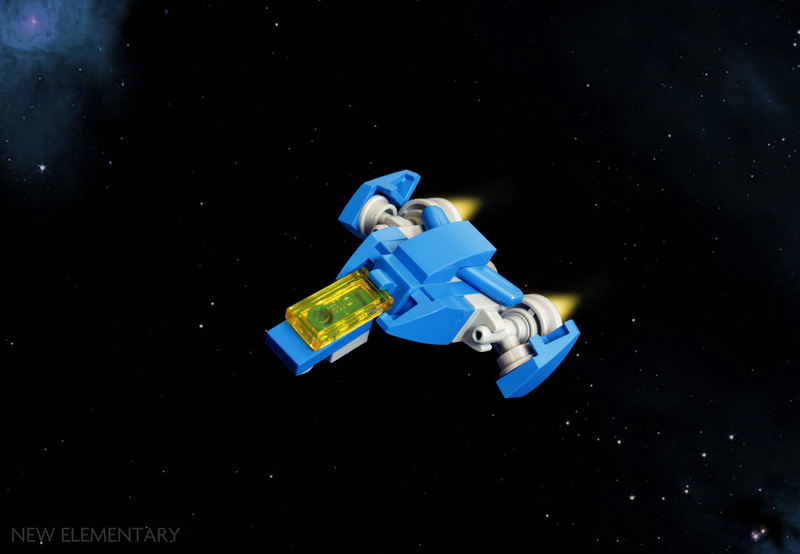 This first model, a Neo-Classic Space (NCS) micro ship, was made during the New Elementary workshop in Portugal. I wasn't sure I'd be able to make anything decent in an unfamiliar building environment, but it turned out fine; after one or two false starts I had this little beauty in hand. I managed to safely bring it home and put the ship in a safe place, ready for photography. I immediately lost it, and had to recreate it from pictures taken by the lovely Miguel. I'm not a big fan of vehicles, but I love a good arch. That's why I store my LEGO® mudguard pieces in my box of arch bricks instead of my 'vehicle bits' box! Mudguards make interesting arches, especially for the tops of windows. So I was happy to see a new mudguard come out last summer, called 'Mudguard 3X4, W/ Plate, No. 1' by TLG and 'Vehicle, Mudguard 4 x 3 x 1 with Arch Curved' on BrickLink. I chose it, in Dark Stone Grey [TLG]/ Dark Bluish Gray [BL], to be one of the pieces featured in our PdC Parts Festival workshops in Portugal where it proved very popular. Today I want to explore its geometry a little more, in the hope of inspiring you to use it in interesting ways. Here are the results from the final day of our first ever live parts festival, where AFOLs from all over the world who were attending the Paredes de Coura (PdC) Fan Weekend last June were given just over an hour to come up with ideas of what might be possible using a range of new LEGO® parts. See the parts selection here. At the rear of his spaceship, Bill created rather neat vector thrust capability by creating oval shapes from pairs of Mudguard 3X4, W/ Plate, No. 1 (6178912 | 28326). I will show you a breakdown of this technique in my next post, when I explore the geometry of this part a little more deeply. PdC Parts Festival: "Oops, Wrong Portal"
At the Paredes de Coura (PdC) Fan Weekend in Portugal we ran a live 'parts festival' workshop and afterwards, some participants took the new LEGO® parts home to continue experimenting. Alexandre Campos (the Ambassador for PLUG, the Portuguese LEGO User Group) is usually a LEGO Technic builder, so it's a good thing that our parts festivals are all about challenging people! Alexandre sent us this build using the parts and explains how the parts inspired him. "Guys, I think we got the wrong address. Could you open the portal back home? Uh, guys? Guys?..." AFOLs from all over the world took part in our first ever live parts festival in June in Portugal at the Paredes de Coura (PdC) Fan Weekend. 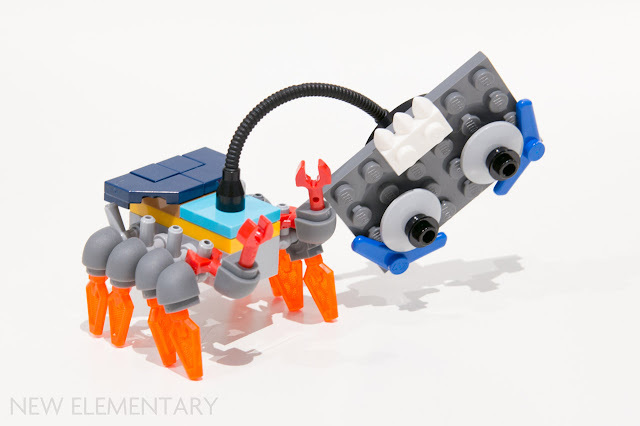 Each day, 15 builders had just over an hour to explore what might be done with a range of new LEGO® parts. 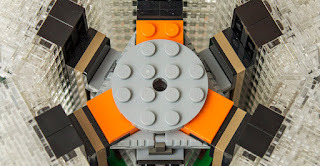 See the parts selection here, but today let's look at what the second round of LEGO fans came up with. 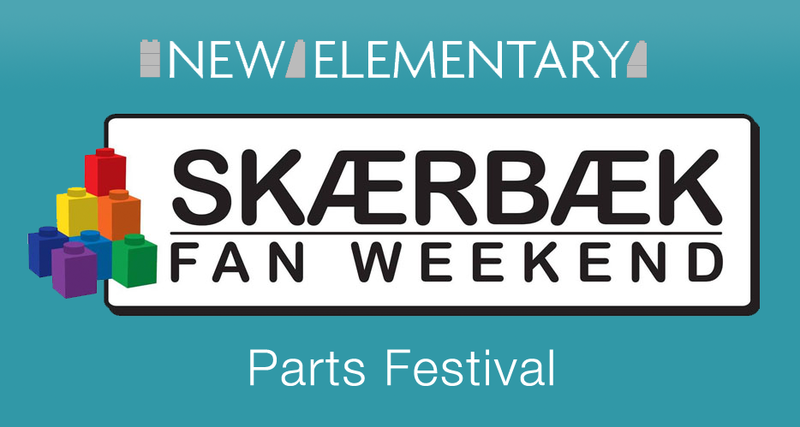 For the Paredes de Coura (PdC) Fan Weekend in Portugal, Jonas Kramm had the idea of running a live New Elementary parts festival (see the parts selection here) and we are now in the process of showing you the results. Afterwards, some participants took the new LEGO® parts home to continue experimenting and today we show you the first result; created by Jonas himself. Inspired by Blade Runner 2049, I wanted to build something related to the movie franchise. 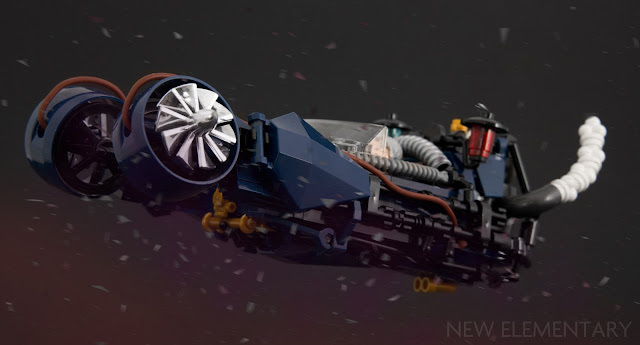 The iconic police spinner vehicle has already been made by several builders in flawless ways, so I came up with the idea to give my model a more creative twist and mixed Blade Runner with the Steampunk art genre. Our first ever live parts festival (or "parts party" as regular reader Håkan put it!) took place in June in Portugal at the Paredes de Coura (PdC) Fan Weekend. Each day, 15 builders had just over an hour to explore what might be done with a range of new LEGO® parts. 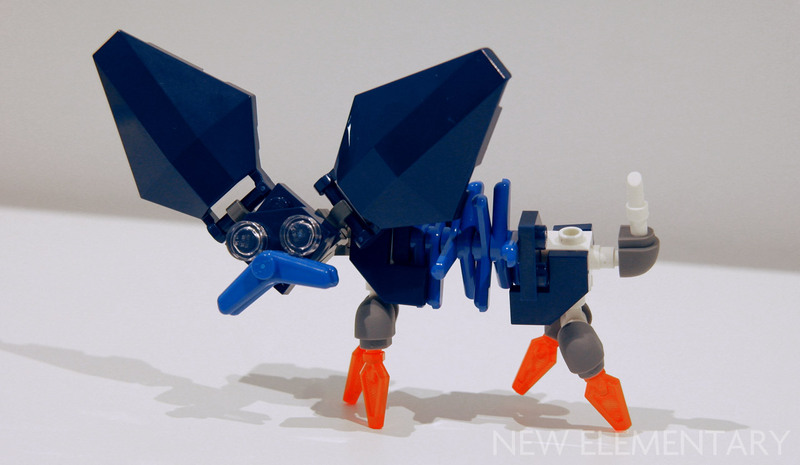 See the parts selection here, but today let's look at what the first round of LEGO fans came up with. Yes, that's his real name. Jeal much? 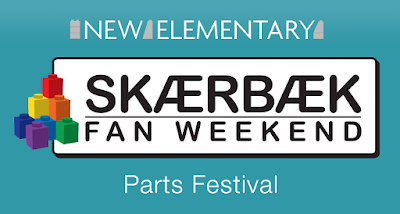 Back in June, we had a first for New Elementary; our first ever live parts festival! 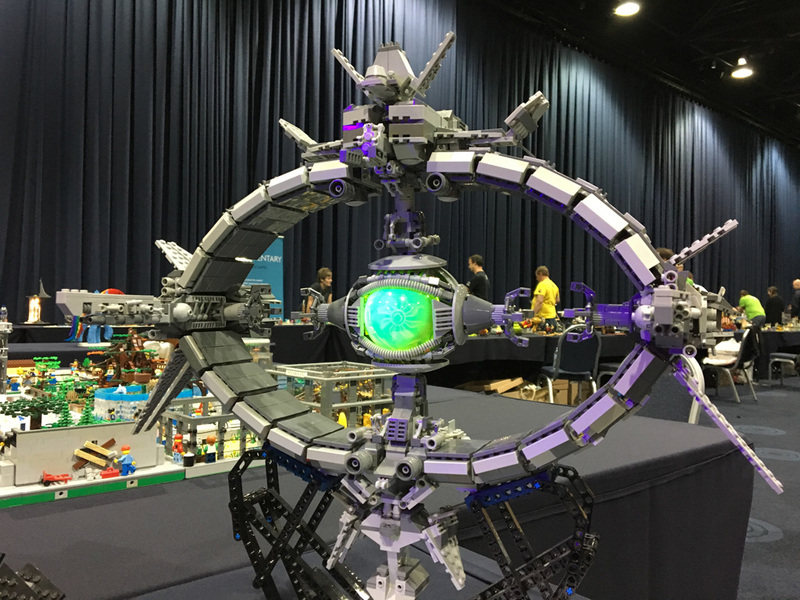 We've run several online parts festivals in the past, where we take some of the newest elements released by the LEGO® Group and challenge builders to explore what they might be used for. This time around, regular contributor Jonas Kramm proposed that we run a workshop at the Paredes de Coura (PdC) Fan Weekend in Portugal to see what builders could come up with - in the space of an hour! The new experience centre/museum in Billund, LEGO® House, has now opened to the public but on Friday 22 September 2017 there was a special pre-opening event for hundreds of LEGO fans from around the world. I was lucky enough to be one of them, so here are some photos from the day. If you are planning to go yourself, you might consider any photos to be 'spoilers' but I am glad to report that there is just so much to do and enjoy inside LEGO House, the photos I'd seen beforehand really didn't spoil much for me and I trust this post won't either. 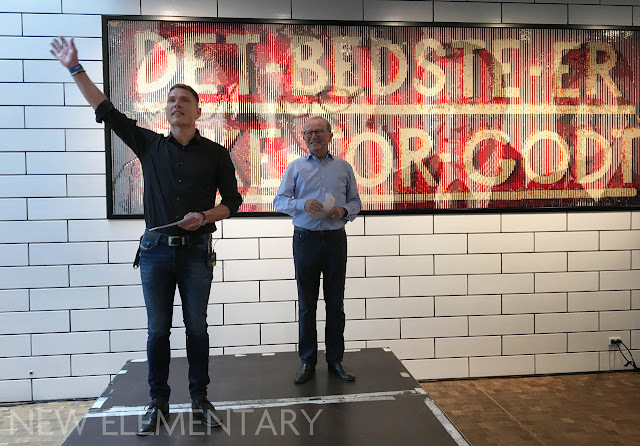 General manager of LEGO House Jesper Vilstrup welcomes us along with third-generation owner, Kjeld Kirk Kristiansen. Behind them is a lenticular made of cheese slopes (Design ID 54200) that shows either the company motto or portraits of the four generations of family owners, depending where you stand. 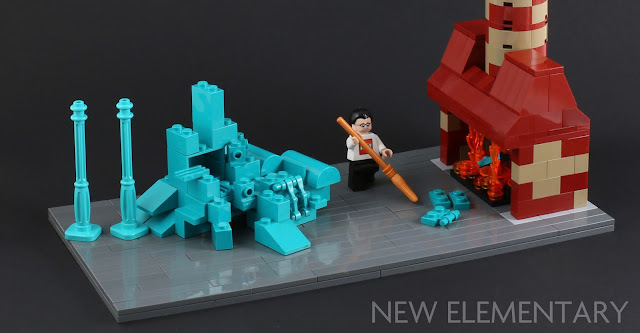 When an additional copy of the new LEGO® Ideas set, 21310 Old Fishing Store, accidentally arrived at New Elementary Towers from Billund, I figured it was a serendipitous opportunity to do something a bit different. 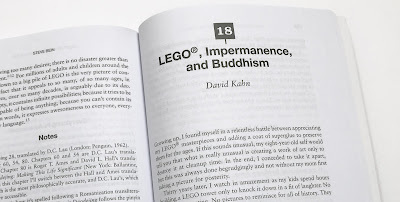 So I entrusted it to a new contributor, Jay Phoenix, with the open-ended and therefore challenging brief of "do something different with it". He did, and his mother Jea did too; she made the second model in this post! Jay can be found on Flickr and Twitter. The modern world can be an overwhelming experience for some people – with such technical advancements as social media, smartphones and anti-spill bottles, some people just wanna retreat back to the good ol’ days where the best way to meet strangers was visiting the pub, phones were only used for phoning people and if you knocked over your cup of coffee the carpet below would have to live with the consequences. The Anton family largely fell into this group, and after their fishing store went bankrupt from investing in several dud products, they decided to do the most logical thing a family would do in this situation and completely rebuild their store into a small fishing boat so they could traverse the waves, away from the many trappings of today’s world. Respect to Sven Franic. 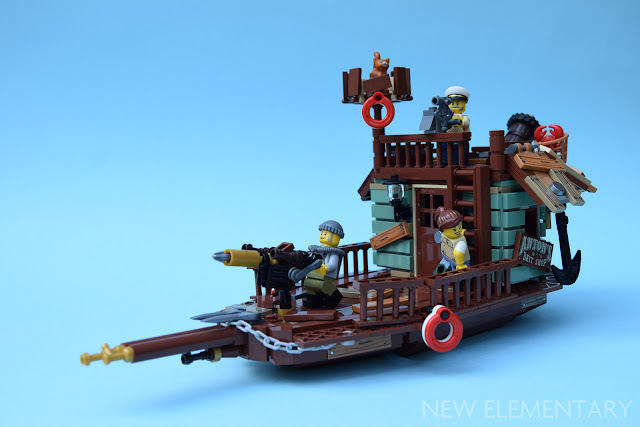 He received New Elementary's review copy of the LEGO® Ideas set, 21310 Old Fishing Store, on Friday and by Monday he had delivered me a spectacular and thorough review of the parts, minifigures and colours in this huge and gorgeous new set. As if that wasn't enough, he had to leave for Slovenia that day... so, just in case the review needed more work, he took the set with him! Well, no more work was required but Sven has nevertheless sent us some "fishing holiday" pics. 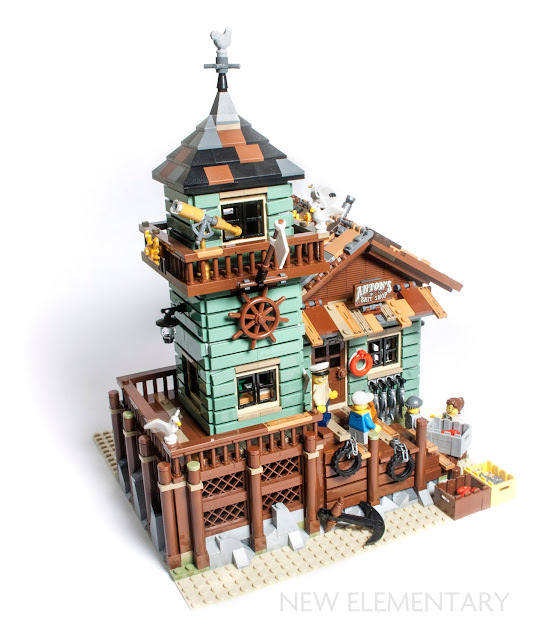 Coming 1st September 2017, LEGO® Ideas 21310 Old Fishing Store has 2,049 pieces - the highest number ever for a LEGO Ideas set - and will retail for £139.99 / US$149.99 / 149.99€. 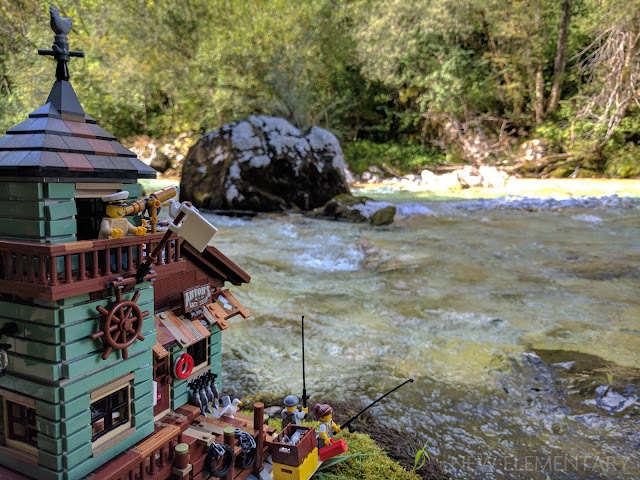 Sven Franic is here to tell you all about the colours, parts and minifigures you will find in this stunning fan-designed set. I remember the day the LEGO® Ideas review results arrived with the news that the Old Fishing Store by fan builder Robert Bontenbal (RobenAnne) would be made into a set. 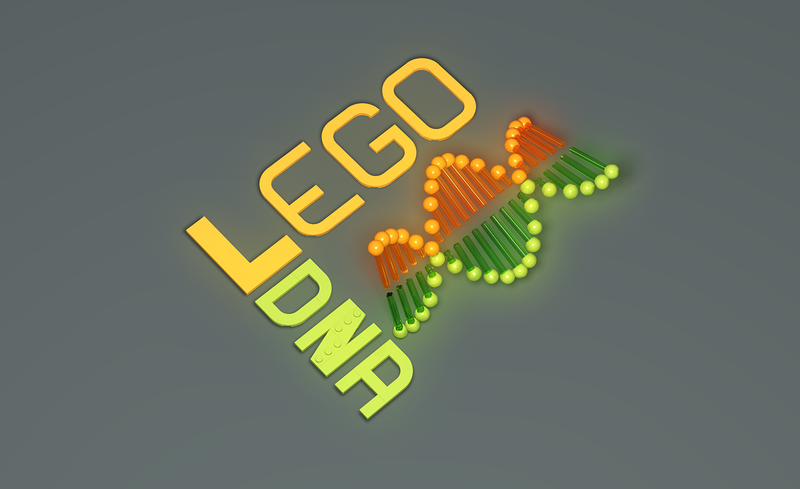 A lot of us hoped for it, but never thought such a large project would be deemed feasible by the LEGO Ideas team. 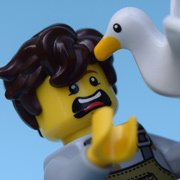 A particularly attractive feature was the colour scheme in Sand Green and the inclusion of so many accessories and animals, most notably the seagull which was only briefly featured with one of the characters in the 2013 collectible minifigures series 10. When the first images of a new set are made public, some fans like to admire the minifigures, other start comparing the accuracy of the set or its relevance within a theme or perhaps even imagine how it would look on their shelf. Others, like my fellow New Elementary contributor Chris McVeigh, prefer to scan for new parts, or parts in new colours. We love a good arch brick here at New Elementary, so when our good friend Richard Jones posted this article on his excellent blog The Rambling Brick recently, we just had to share. He's kindly allowed us to re-post it here as a guest post. One of the great things about LEGO® bricks is the system: the way elements fit together and interact with each other, sometimes in unexpected ways. Studs and tubes are easy to understand. 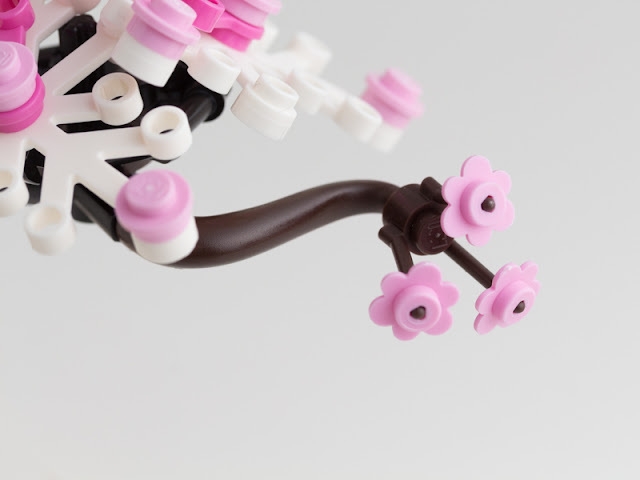 As are minifigure hands and the way they plug into the end of a tube or anti stud, or clip over a 3.18mm bar. Every so often you come across a new set of interactions, and wonder just how far these relationships between elements extend. 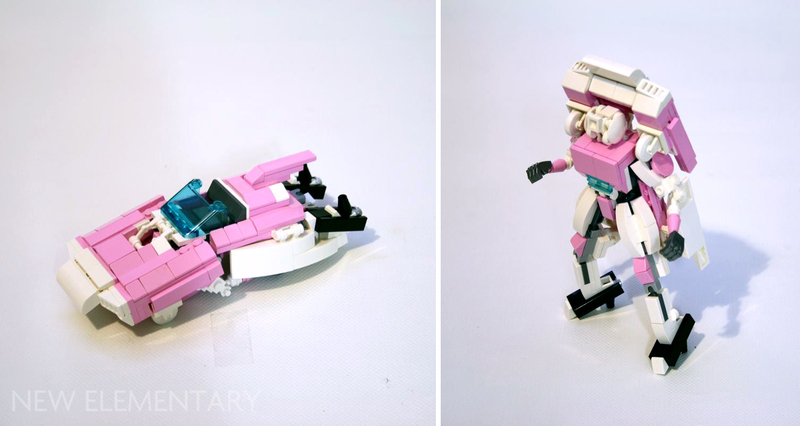 Elspeth has a final two creations for you today where she has used a single LEGO® piece in multiple colours as inspiration for a build. Click/tap any image to view larger. The Colour Recycling Facility is on point with TLG’s current policy of using 100% renewable energy and the ongoing research into alternative, more environmentally friendly options for ABS plastic. 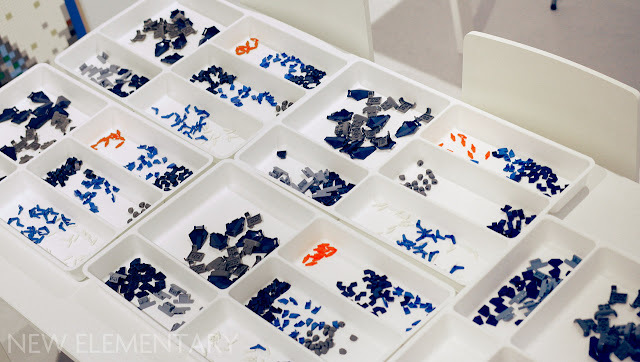 It seems everyone has been enjoying the LEGO® colour collections that Elspeth De Montes displayed at Bricktastic, the show in aid of Fairy Bricks in Manchester, UK. Today she takes things up a notch; here are the MOCs she displayed whose sole purpose was to incorporate some colour collections within the build. 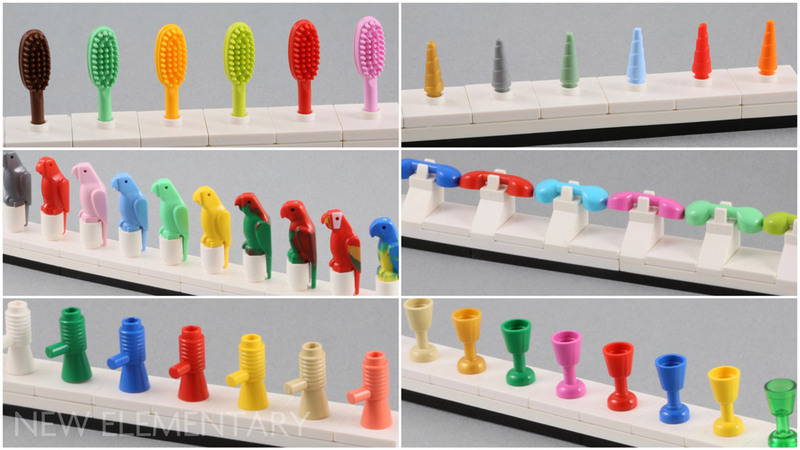 Today, Elspeth De Montes continues her parade of LEGO® pieces in different colours! Why? 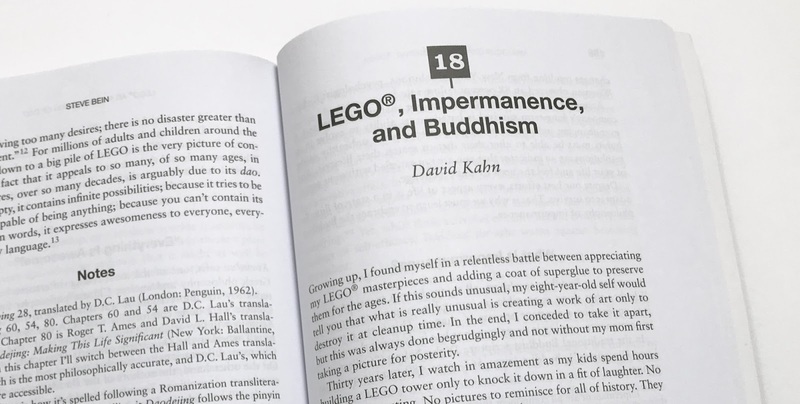 Because LEGO. The hugely oversized Spider (Part 30238) is a force to be reckoned with, appearing in over 110 sets in 10 different colours. My own personal favourite is the Glow In Dark White [BL]/White Glow [TLG] breed which you see on the left (glowing thanks to the magic of Photoshop). It crawled into one LEGO Lord of the Rings set and four Monster Fighters sets, all released in 2012. Flat Silver [BL]/ Silver Metallic [TLG] only appeared in 30238 Spyclops Infiltration as part of the Ultra Agents theme, while Black is by far the commonest colour to be used in sets. 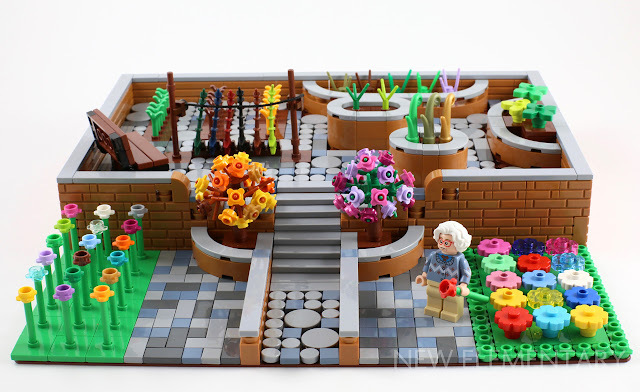 See the full range of available colours and their current prices on BrickLink. At Bricktastic, the LEGO® show in Manchester in aid of Fairy Bricks, New Elementary had a table featuring Nexogon models by Luc Byard, Tim Goddard and Gary Davis as well as models by Jason Briscoe and Rod Gillies. And then there were the delightful, random Colourtastic creations by Elspeth De Montes! 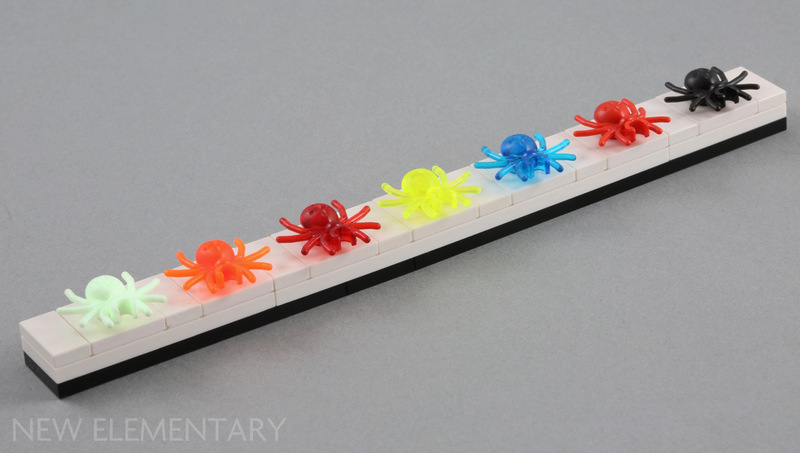 It’s no secret that I love LEGO® colours. I have been seen immersed in Dark Azure here in the past, but recently I joined New Elementary for some colourtastic fun at Bricktastic, which is a great show because there are lots of young, excited LEGO fans, no barriers around the models and plenty of time and space to interact. 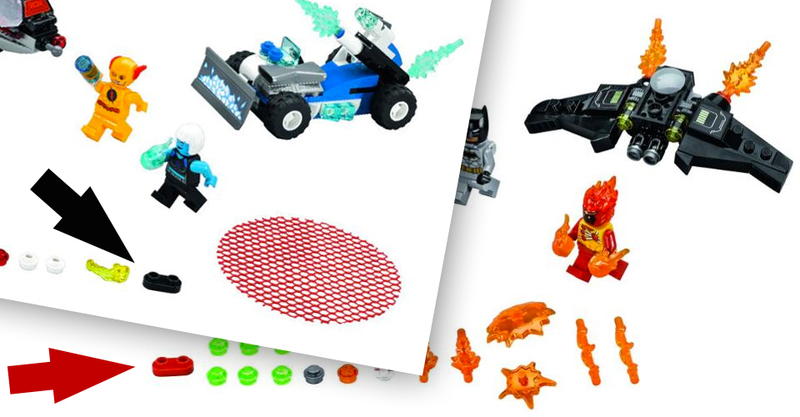 Eagle-eyed reader CM4Sci spotted something exciting in the images that have just been officially released by Forbes of new LEGO® DC Super Heroes sets that will be released in January 2018. I shot a couple of quick videos on my phone at Bricktastic, the LEGO® show in aid of Fairy Bricks. We're live from Manchester! 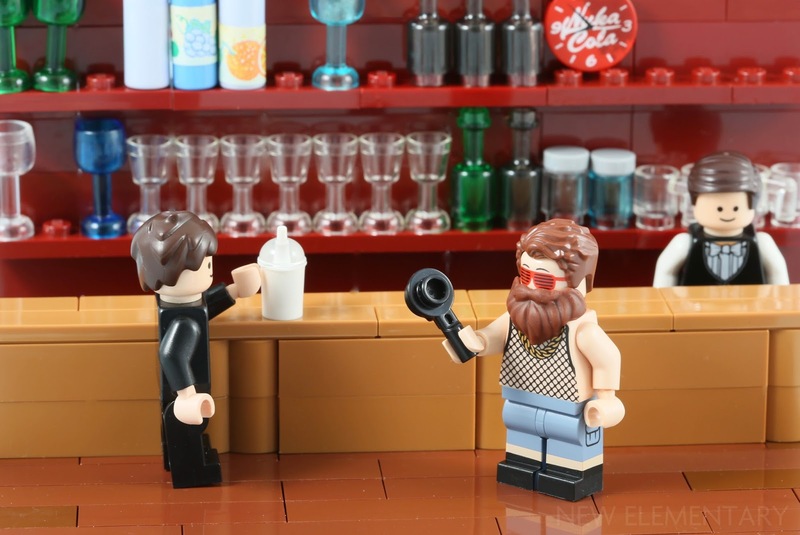 Bricktastic, the event run by the wonderful charity Fairy Bricks, is underway and the quality of models is outstanding. It's a really relaxed event thanks to the generous space, carefully managed crowd numbers and the lack of doof-doof music! Here's a very random look at some of the AFOL creations on display - sorry not to be more polished with this post, it's been hard to find the time. Enjoy! 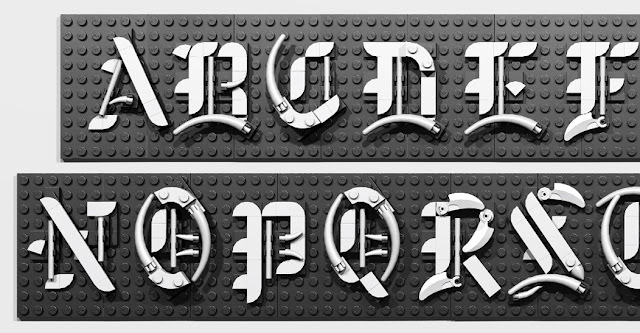 A quick note to mention that Li Li, a winner in our recent contest, expanded his efforts and created a full set of capital letters in Gothic script (also known as Blackletter) using LEGO® pieces! This image is just a taster - visit Li's blog, MOC Recipes, to see the full alphabet with a couple of building tips. 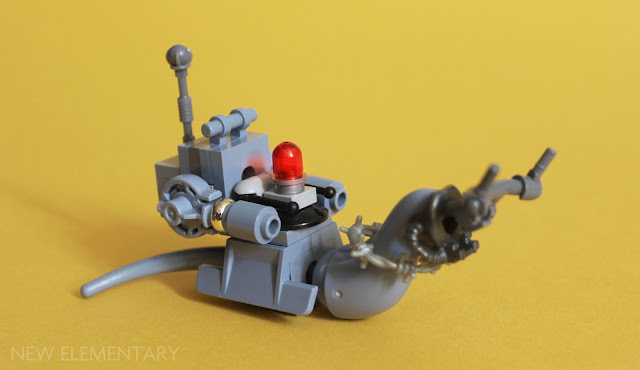 It's worth scrolling back in time to look at some of his earlier posts too; MOC Recipes is a great resource for techniques. In four years we have only ever run two competitions on New Elementary, primarily because I hate saying one awesome thing is better than another awesome thing! 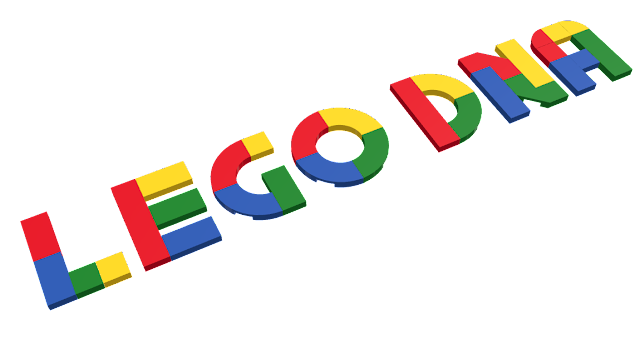 For any of you following our LEGO® lettering contest, it is needless to say that we've had a really tough time judging this one. We know you guys are super-creative, but the quantity AND quality of entries nevertheless blew us away! Didn't see them? Here are a few to give you a taste, but it's really worth seeing the lot! 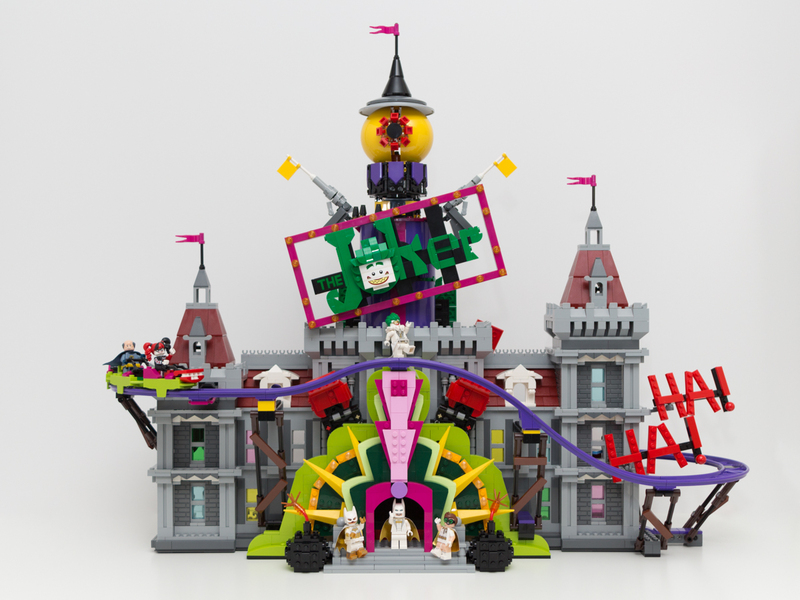 Here are the final entries received for our LEGO® lettering contest. Looks like you guys have been enjoying them as much as I have! Click any image to view larger. For all images, please be aware that COPYRIGHT IS OWNED BY THE ENTRANT. So, for example, using their design or posting these images elsewhere without their consent might not be cool with them. If you want to get in touch with someone, you can use the contact form (on desktop version of the site in the righthand column) to ask me, and I will let them know. 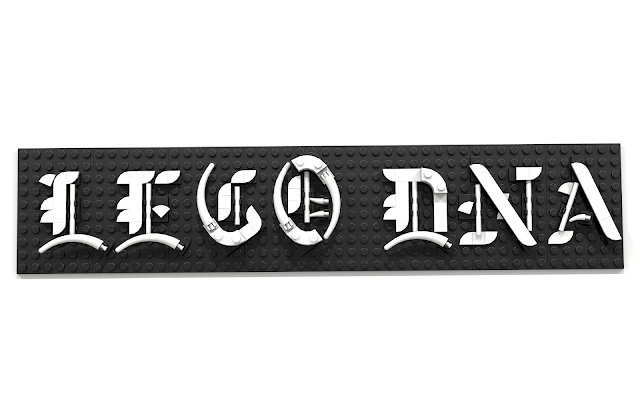 We are down to the penultimate bunch of entries into our LEGO® lettering contest. Yes, nearly there! Click any image to view larger. Some more great entries to our LEGO® lettering contest are ready for you to enjoy! Click any image to view larger. 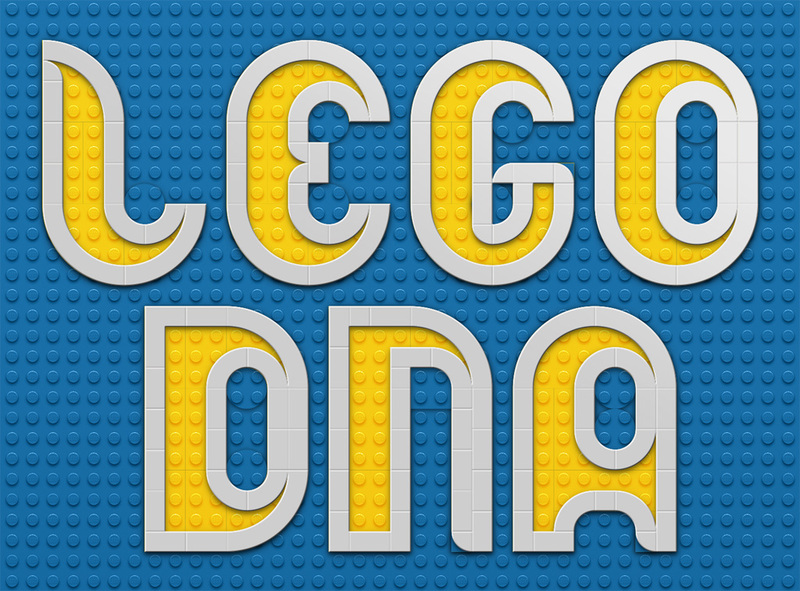 Here are fifteen more entries submitted to our LEGO® lettering contest. Some 'out of the box' ideas today! Click any image to view larger. Hey - it's our birthday! New Elementary began four years ago today, and what better way to celebrate than with more wonderful ideas submitted to our LEGO® lettering contest! Click any image to view larger. It seems the range of imaginative ideas in our LEGO® lettering contest is blowing you guys away too - and here is the second bunch of entries for your delectation! Click any image to view larger. "I designed the letters to have a keystone that is located as far to the upper left as possible. It is with a 45 degree angle or a quarter round. Each letter fits into a 4 stub by 5 stud rectangle." Well I did promise to message our competition winners yesterday but life has a habit of getting in the way! However us judges are indeed working to whittle down all the entries we received (more than 100!) to a mere three - it's not easy I can tell you. You guys are awesome! I'm absolutely blown away with the variety and ingenuity of the entries. In the meantime, we can now share all these great entries with you. With so many, they will be split over several posts. Click any image to view larger. 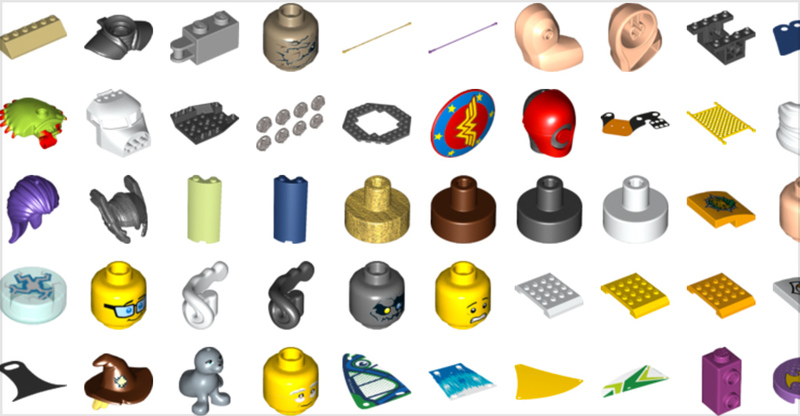 As promised, here are a few more brand new LEGO® parts coming this summer that caught my eye among the 780 in the latest update to Brickset's parts database. I've been discussing this on Twitter, but figured it was worth sharing with everyone. Many new set inventories for Summer 2017 have been uploaded onto the LEGO® Group's online parts database this week, so we get our first glimpse of new parts that we will soon be able to buy. A couple of people including occasional New E contributor Chris McVeigh pointed out one in particular. Luc Byard surprised me with another creation for our parts festival today! 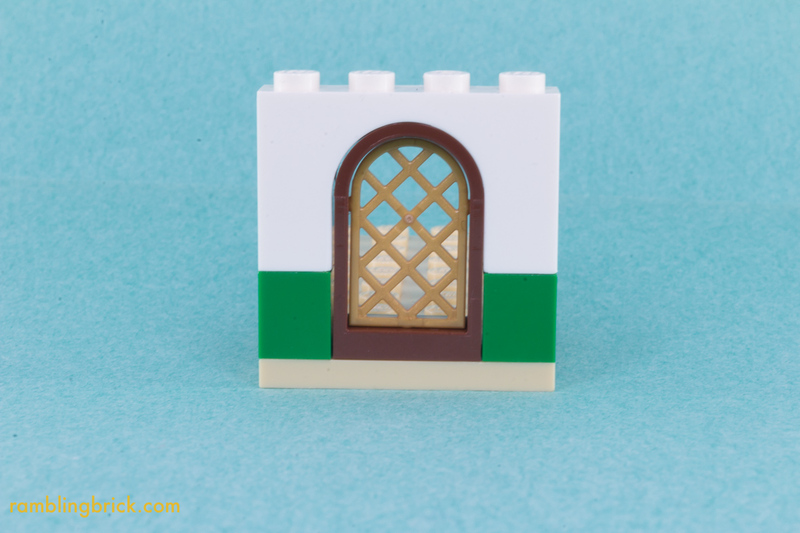 LEGO® part 27255 is critical but nearly invisible in his bold piece of architecture. One of the first things I thought about doing with Nexogons was using them for the core of some kind of structure, and here's where that led me. 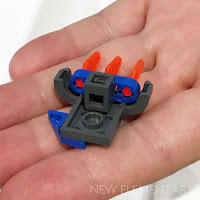 To do so, I knew I would first need a better solution than I used in the Starglider to give the Nexogon a truly six-sided application.